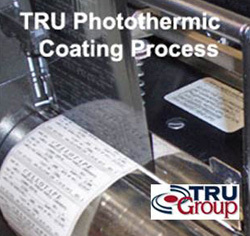 TRU Group assessed technology efficacy value, and detailed competitiveness of a a “thermo-chromatic” laser marking method for printing and attendant new application for a photo-thermic paper coatings. Calculated the detailed cost for manufacturing the new coated paper versus conventional printing and writing papers. Examined the relative importance of the cost structure for commercialization of new photo-chromatic and thermal printing method. Reviewed market potential and barriers to product launch for the new product. 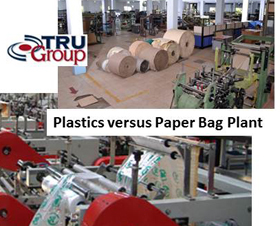 TRU Group carried out a marketing and competition assessment aimed at determining the feasibility of building, and wholly owning, a US$280 million newsprint mill in Quebec, Canada. This was a detailed examination of the global markets and competition for newsprint including basic cost competitiveness of a North American newsprint complex. 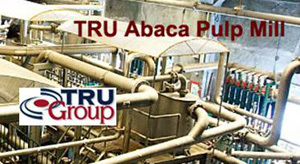 TRU Group Inc conducted an international assessment of the abaca pulp market to determine the feasibility of manufacture in Ecuador. Abaca pulp is uncommon and is used in the manufacture of specialty non-woven products such as special masks and filters. As there was do published data, this assignment involved very difficult intelligence gathering in person from the Far East, Europe and North America for both abaca fiber and abaca pulp. Attendant technical and economic studies were also undertaken. 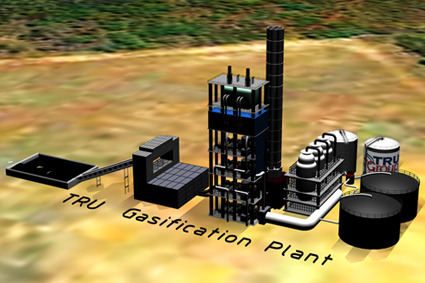 TRU Group evaluated the strategic competitive position of the Canadian Fine Paper industry, on behalf of the Federal Government who were working with industry in an attempt to rationalize the fine paper industry. Examined markets, costs and company positioning in North America, and ranked the players based on competitive criteria. TRU Group Inc has conducted a variety of assignments in a wide cross-section of softwood & hardwood species in many different countries. Our president was Corporate Industrial Market Research for a $600 million diversified forest products company in north america. TRU Group conducted an international business assessment on the feasibility of producing and marketing a variety of wood/paper products - logs, lumber, veneer, plywood, pulp, paper - based on the Chiloe Island hardwood forest. Customers and trade factors were interviewed in person globally as the forest contain species that were not normally sold internationally. Forchil undertook one of Chile's largest forest developments. Forchil undertook one of Chile's largest forest developments. TRU subsequently worked with the Chilean company to negotiated distribution in the USA for the client. 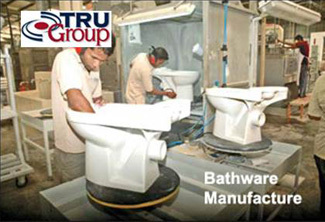 For American Standard, TRU Group undertook an study comparing metal versus FRP fiberglass reinforced and injection molded plastic bathware manufacturing. Made cost comparisons and assessed competitive markets and product trends. TRU Group Inc also undertook competitive market assessment for cultured marble washbasins (blend of polyester resin, catalyst, fillers and pigments). 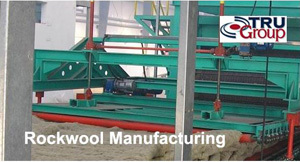 TRU, investigated and assessed a market penetration issues for a producer of a rockwool insulation product line. The product was technically superior but was not achieving the market penetration it should in the US market. TRU undertook a number of person interviews of trade factors and agents and made solid conclusions recommending market strategy changes. TRU Group Inc has conducted a variety of other assignments in insulation including in fiberglass (blown and batt), insulation boards, and a very in-depth assessment of the cellulose insulation industry. TRU Group undertook two simultaneous assignments assessing all business aspects of developing the forest resource at Pucalpa and Iquitos. Detailed international and national surveys of the markets for pulp, paper and wood products were evaluated from a marketing, financial and technical viewpoint. Acceptability of unknown hardwood species was a key factor. Study included looking at transportation issues related to Amazon River navigation through Manaus, Brazil. TRU Group investigated and assessed the idea of manufacturing waferboard in Quebec based on exporting the total output of the mill to Europe. Conducted extensive marketing research in Europe to assess customer acceptability and competition form other boards.